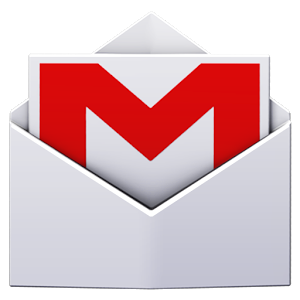 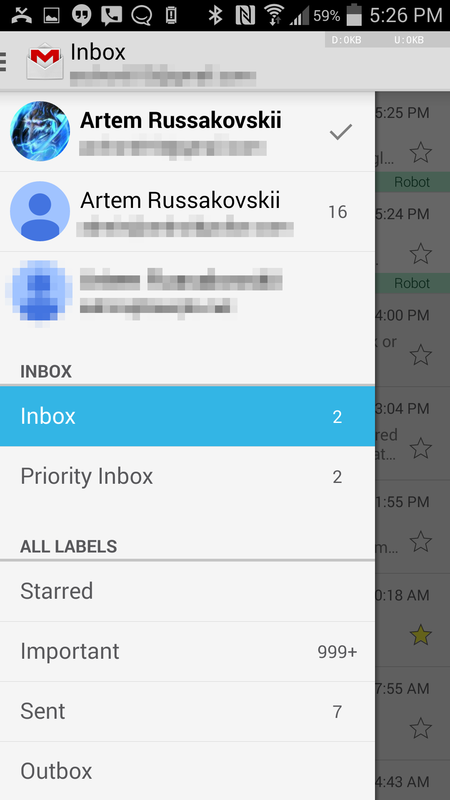 Gmail just got an update to version 4.8, an update that brings with it some refreshing UI changes, and a few other features too. First, we'll take a look at the UI tweaks. 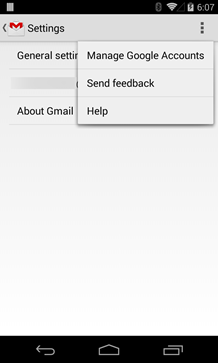 First up, the pull-to-refresh animation has been brought into line with the Google Search app - it now cycles through Google's red, yellow, blue, and green brand colors rather than using a simple blue animation. The length of swipe necessary to trigger a refresh has also been shortened. 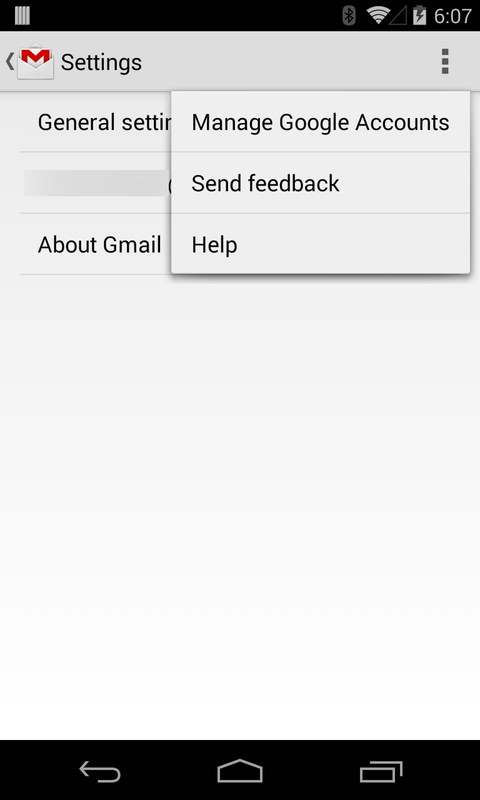 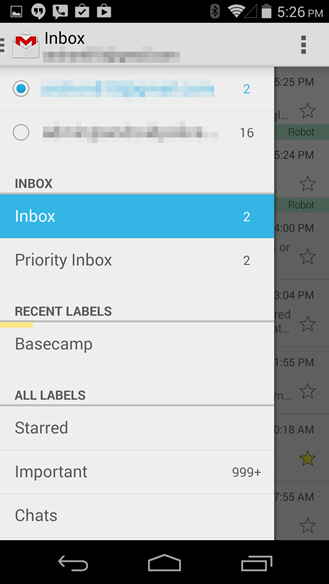 Like Google's other in-house apps, Gmail has ripped Settings, Help, and Feedback from the overflow menu and put them in the sliding navigation drawer. Gmail also has a richer profile switcher now - the navigation drawer has switched from radio buttons to account avatars to represent your various Gmail accounts. 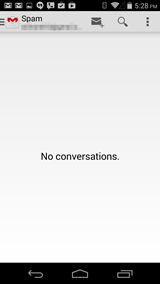 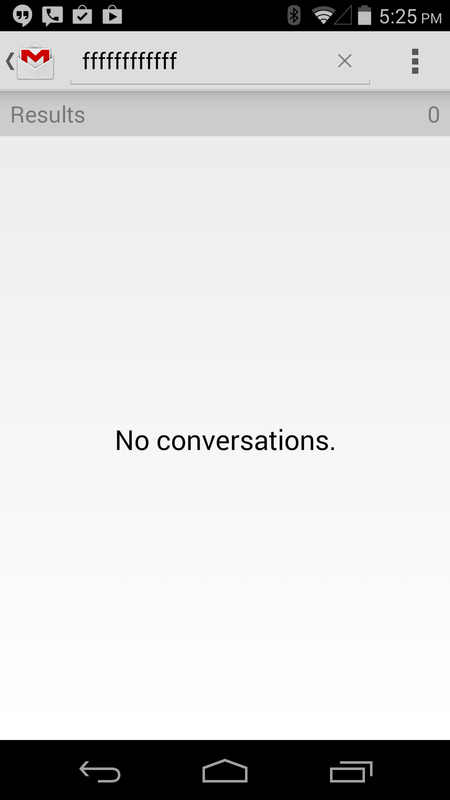 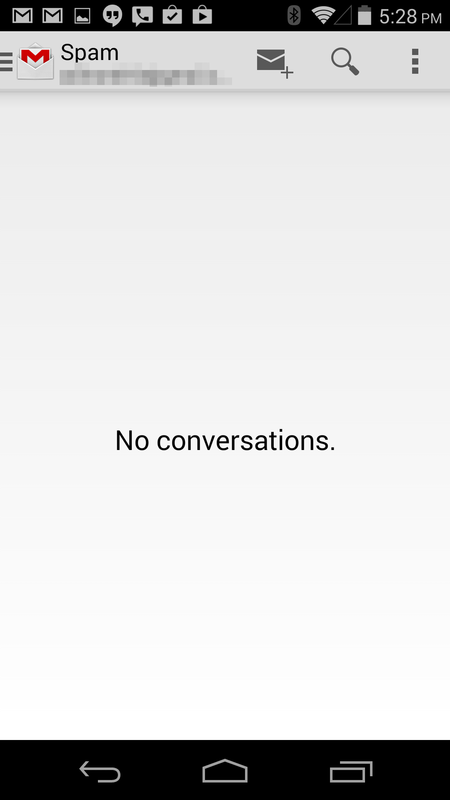 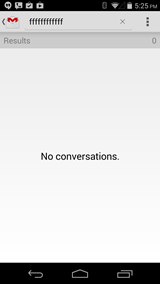 Additionally, the no-content screens have been updated - if you don't have any spam messages, or if your search results come up empty, you'll see friendlier messages and graphics than the old "no conversations" string. One larger feature in the 4.8 update is the ability to either directly print attachments or save them to your Google Drive account. 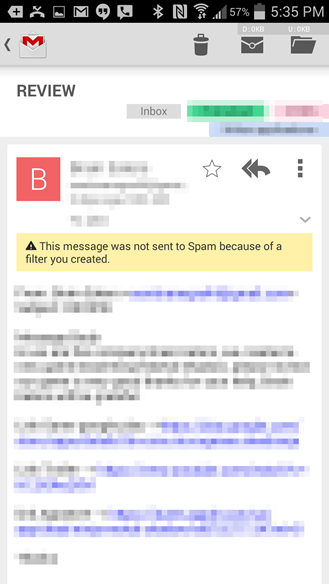 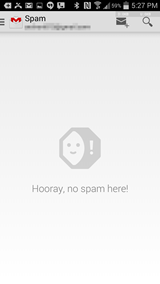 Gmail will also display warnings properly - for example, if a filter you've created stopped a message from being sent to spam when it otherwise would be, that information will show up in a yellow box at the top of the message. 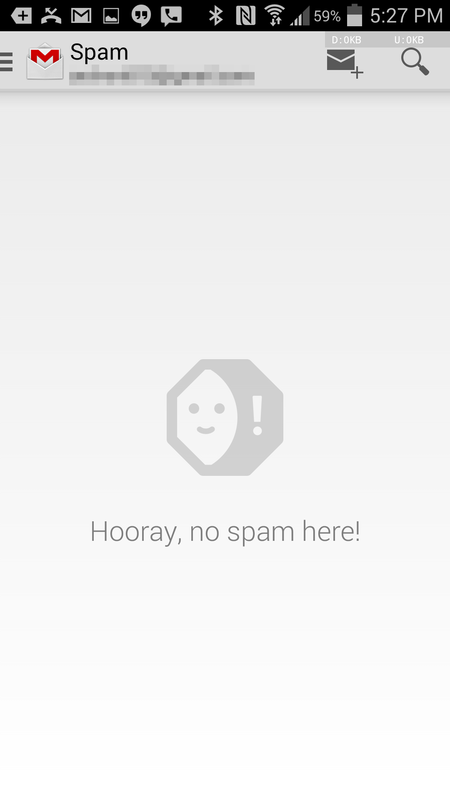 Finally, (FINALLY!) 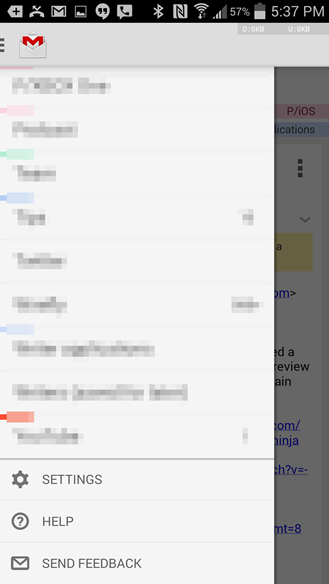 Gmail will show you the rest of truncated messages. 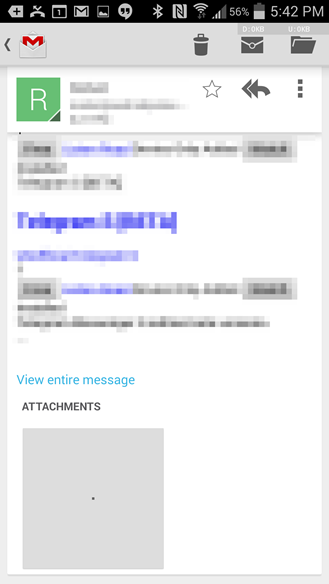 Previously, a message that was too long would be truncated, with no way to view the entire text of the message through the app. 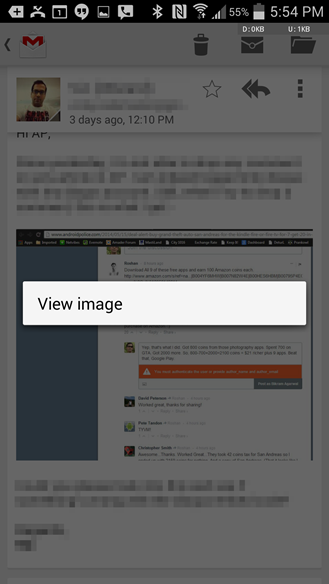 Now, users can choose to see the whole thing. 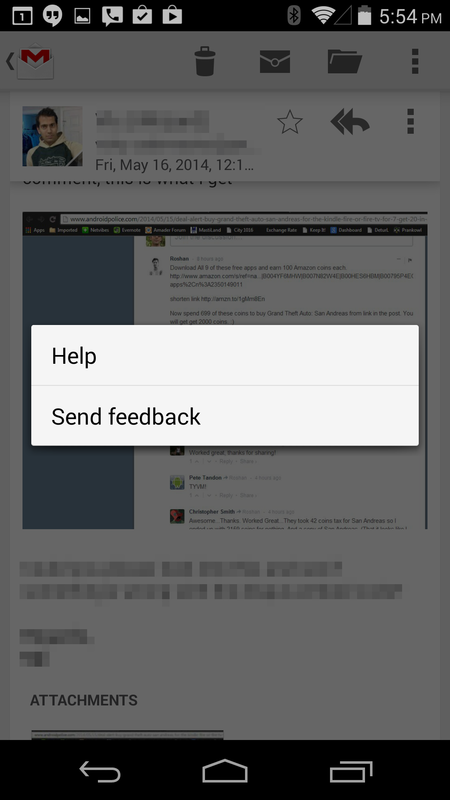 Previously, if a user received a message with an inline image, long press icons were limited to "help," and "send feedback," but now users can view the image by itself, rather than inside the message pane. 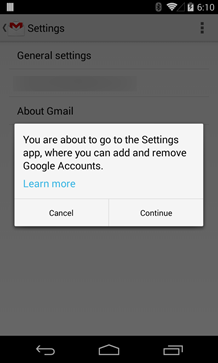 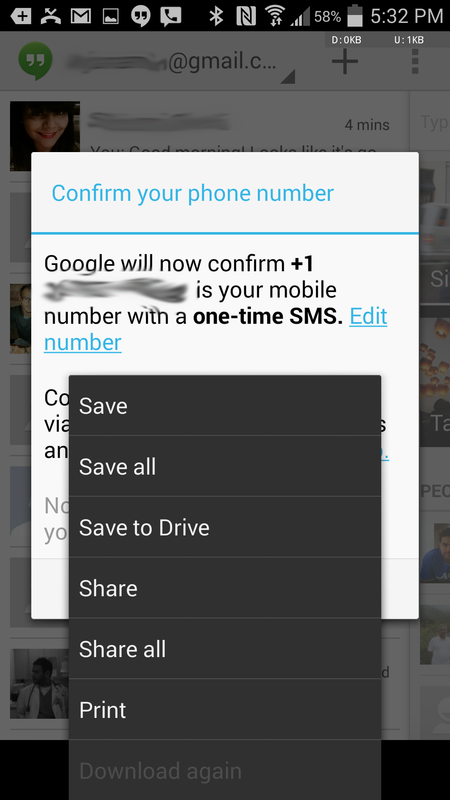 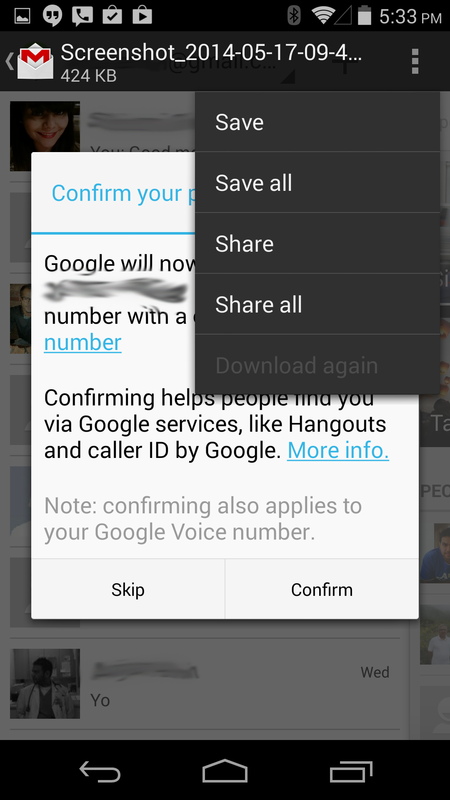 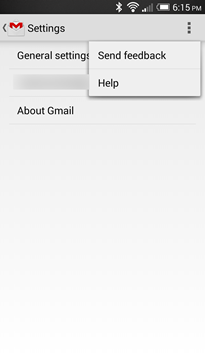 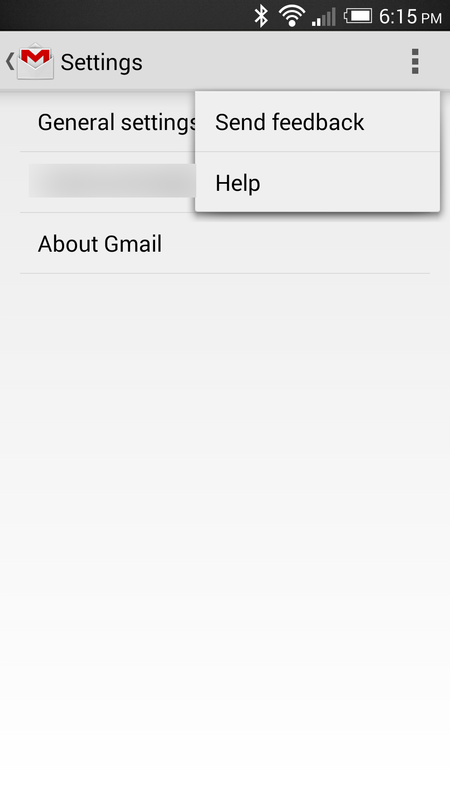 There's also a new shortcut to Google account management (normally accessed from the settings app). 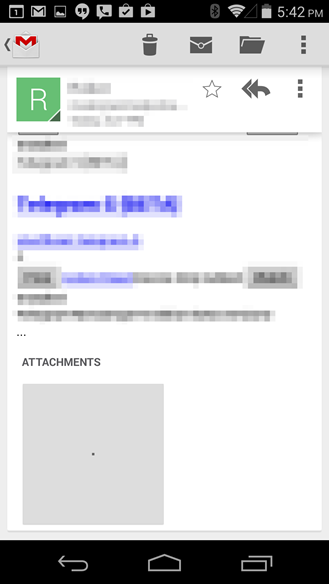 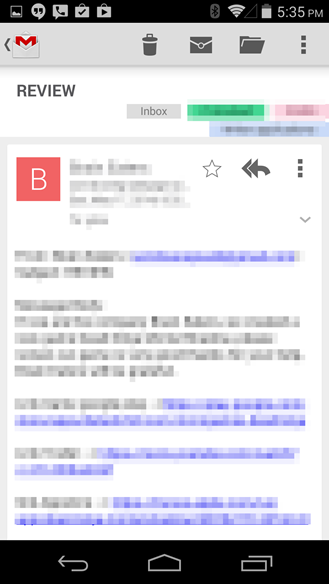 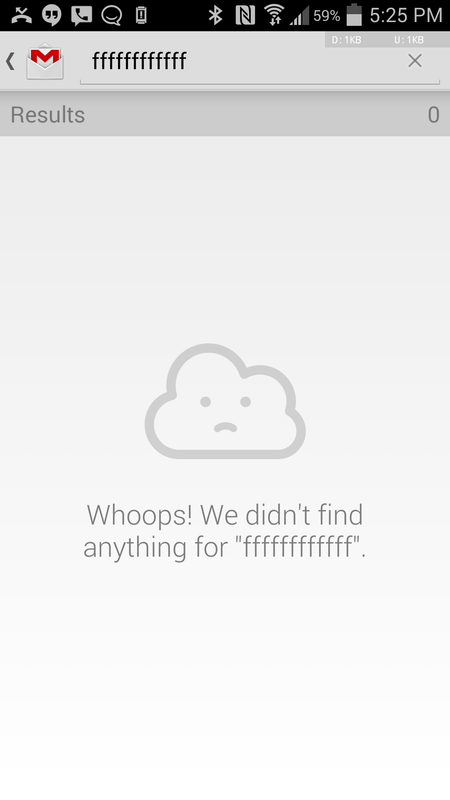 In Gmail's previous iteration, there was a bug that affected loading attached images. 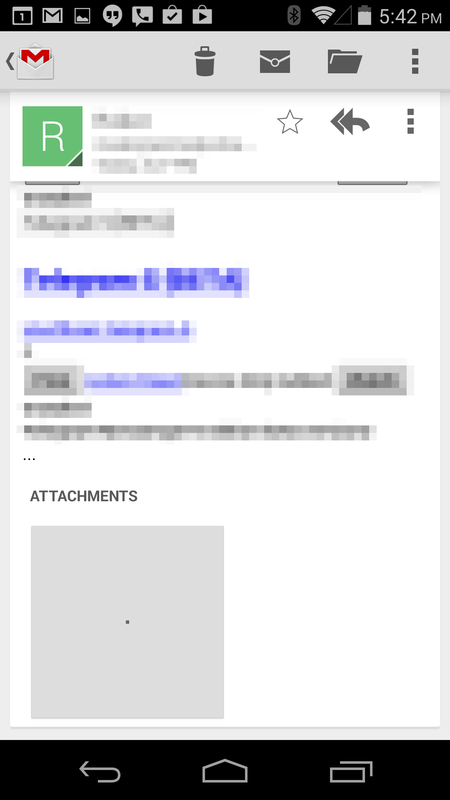 Previously, the image wouldn't show up, and instead the user was faced with a black screen (no progress indication) until the attachment loaded and the user hit back and clicked again. 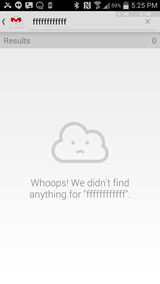 It appears this bug is fixed, but we aren't completely sure yet. 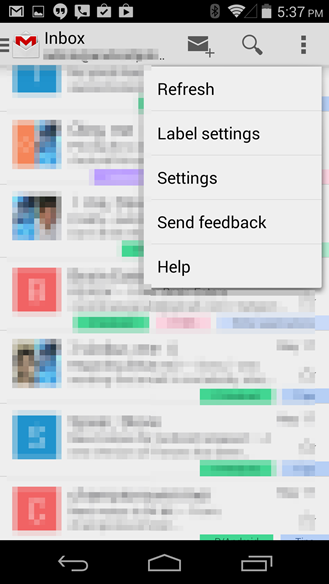 According to a post on the official Gmail Google+ page, there's also enhanced support for languages that don't read left-to-right, and the navigation bar can be accessed from inside a message, instead of only being accessible from the main view. 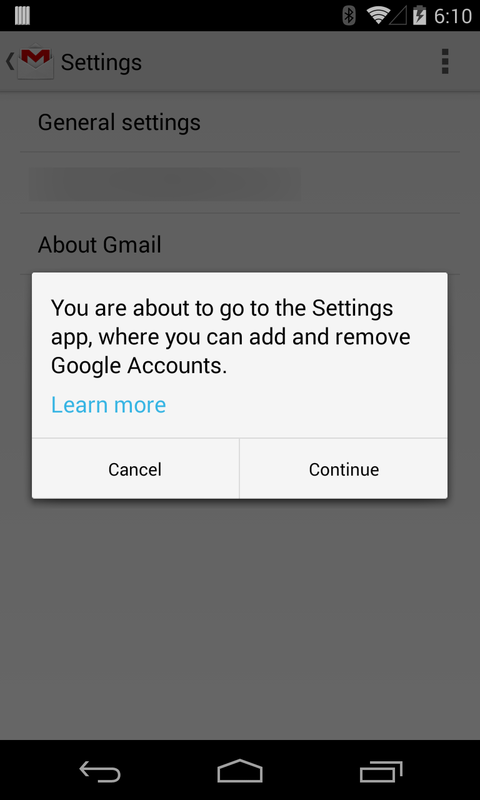 To wrap up, there are a few strings of interest hiding inside the APK that explain to users why a message is in spam and what it means if a message looks suspicious.